When designing a home, it’s common to take inspiration from its location. From the hundreds of spaces we’ve visited, some incorporate big windows to highlight scenic views, while some showcase interesting structures to make the house blend in with its surroundings. Found on a mountain slope in a subdivision in Antipolo, this family home is stunning on the outside and equally pretty and warm on the inside. Since the subdivision has an American-inspired theme, architect Angelo Siochi had to come up with a simple yet modern design that sticks to it. “The natural slope of the mountain gave us a chance to play on the property’s elevation as it created height as well as difference in levels. This helped us maximize the space of the property even more,” explains Angelo. 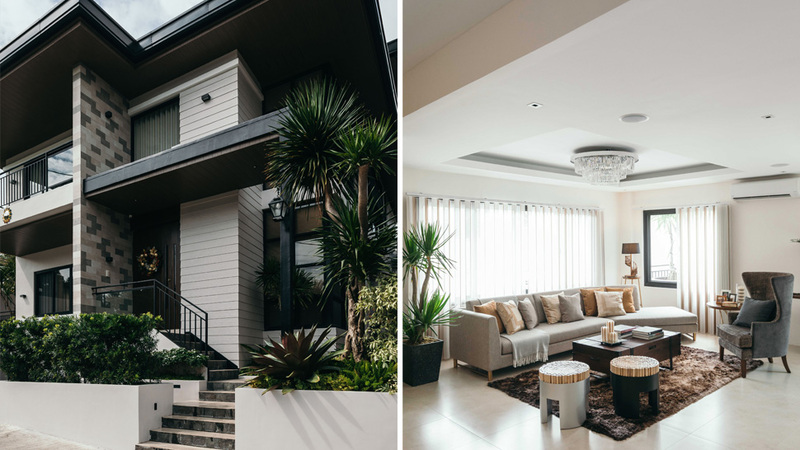 Aside from meeting the subdivision’s requirements, the architect also made sure that hints of modern Filipino architecture were also incorporated into the final look. The home not only highlights an efficient layout, it also satisfies the needs of the owners. Collaborating with the clients from the initial stages of construction up to the turnover was a good call. “Along the way there were changes and they wanted to be part of the planning process and redesign, which for us, was quite helpful,” he says. From the striking façade to the lovely bedrooms, Angelo has successfully created a home the owners can be proud of. The overall look is clean and streamlined, while the chosen pieces add a sophisticated touch to each area. Will you fall in love with this house? Yes you will.